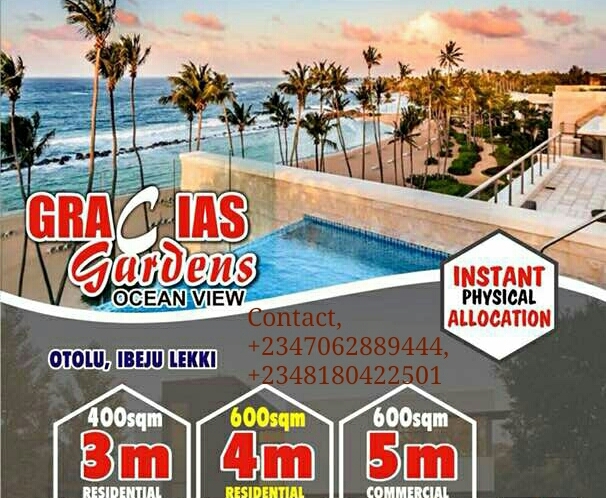 Gracias Gardens Ocean view is primly endowed with natural aesthetic, which makes it an ideal business environment for those who desires to have investment closer to several upcoming economic developmental projects. LOCATION: Otolu, Ibeju Lekki. 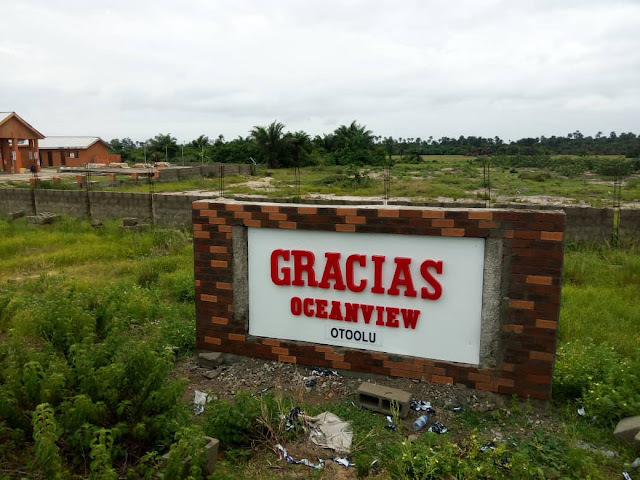 6 Minutes Drive from the Lekki Free Trade Zone Ibeju Lekki, Lagos. Conducive Environment and many more.  Government Tourist Center and many more. Beautiful place .... I loved this place very much. Its really a nice place for nature lover. Generally I worked for UAE real estate. If you want to invest your valuable money abroad like UAE then I will suggest you to think about Ras Al Khaimah. Its an another tourist place in UAE.